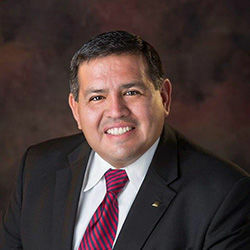 District 2 Commissioner Joaquin “J.J.” Zamora will host a town hall at 6 tonight at the Lark Community Center at 2601 Lark Ave. The meeting will give residents an opportunity to learn more about what is happening in the community and discuss their concerns, as well as give their ideas and input, according to a city news release. City of McAllen staff will present information on the proposed projects included in the upcoming bond election. Attendees will be given an opportunity to ask questions, review material, study the potential tax impact and become more familiar with the projects. Constituents will receive a complimentary First Aid kit, courtesy of the McAllen Firefighters Association. A limited number are available and only one kit per family. WHERE: Lark Community Center, 26014 Lark Ave.